Writing this review is going to be a special challenge because I have always had a hard time talking about books that I loved and that have moved me deeply. I tend to gush without explaining why I enjoyed the book so much. On first impression, Claire North’s stunning and strange novel, The End of the Day, is about death. Charlie is the most recent Harbinger of Death. As he explains it, he goes before as a courtesy or a warning. Through his eyes, we see good deaths and bad—and the longer you read, the more you realize that this is not a book about death so much as it is a book about empathy. I read The End of the Day in chunks over two days. I would inhale the short chapters until I could take no more of its emotional honesty and have to take a break. The breaks didn’t last too long because I just had to have more. The End of the Day covers the three or four years at the beginning of his career as Death’s Harbinger, but it tells his story out of order. We see Charlie when he’s bright-eyed and bushy-tailed as he enjoyed traveling around the world to meet the last woman of her tribe in Peru. We see him as he has a mystical encounter with Death on a glacier in Greenland. We also see Charlie as all of the senseless deaths shake him to the core when he visits a rebel compound in Syria after years of civil war. Charlie’s relationship with death, and Death, are constantly changing—though he seems to have a better grip on what Death is than most of the people he meets. Charlie’s job is supposed to be either a courtesy or a warning. When it’s a courtesy, Charlie sees people before they have a good death, at peace with their lives and their ends. When it’s a warning, Charlie strives mightily to get people to heed him so that Death might pass them by. But Charlie also has an unofficial third duty to perform: answering questions from people who want to understand Death and try to bargain with the psychopomp. These parts of the book are often harrowing for Charlie because of his answers, though some of them are incredibly thoughtful. Throughout the book are interstitial chapters that consist of nothing but untagged dialogue. These snatches of speech, for me, were gut-wrenching contrasts to Charlie’s deep empathy for everyone he meets. Some of them sounded like they were taken directly from Donald Trump or Fox News because of their profound racism and stupidity. I was struck, over and over again, by how current they sounded because we seem to be living in a time when more and more people only care about themselves and their families. Everyone else can go hang for all they care. None of these voices realize that Death comes for all of us in the end. The divisions we put up between ourselves and others are completely meaningless and do nothing but make us miserable. The End of the Day is not for everyone. It’s achronological structure will bother some readers. The issues the book covers will distress others. But I found the book to be one of the most enlightening and beautiful novels I’ve read in a while. I received a free copy of this book from NetGalley for review consideration. It will be released on 4 April 2017. Thank you! I fixed the errors. I have no idea why I had the title wrong in my head as I typed. This sounds like a wonderfully unusual book. Thanks. I’ve just discovered your blog and am working my way through your past posts. 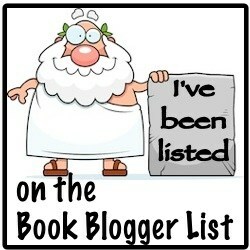 Lots of new titles being added to my TBR list.